Conveniently located at the intersection of Heritage Drive and Macleod Trail in Calgary. We also have fantastic Parking, you could actually fit over 30 tour buses in our parking lot! 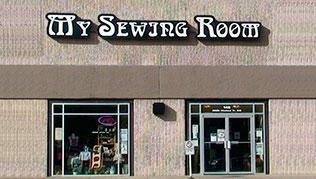 My Sewing Room is open 7 days a week and till 9pm weekdays. My Sewing Room has staff on each day to help you pick fabric, help with projects and lend advice, we have even have service techs in the store 7 days a week. "61 Bunks and many, many tables of fabric" - Trevor B. "Quilts, Quilts and more Quilts! Some days you can't even see the walls!" - Melissa M.
"Canada! There's another hidden gem right in your backyard! With our new Online Shopping Cart we can ship to Canada and... anywhere in the world!" - Marge T.
We search the globe for the latest fabric, notions and techniques and bring them to you. My Sewing Room showcases these products in our exclusive Creative Clubhouse classes, we heed your input as we stock the store with items you want and industry experienced instructors to teach these new techniques and patterns. More than a quilt shoppe! We carry a wide range of books and magazines for all hobbyists, we have access to a large assortment of products and literature as well! Our staff have a wide range of experience in quilting, costume making, needlecraft, knitting, dress making, industrial, doll making, beadwork... ask for help with any of your projects! Need help with your quilt? Bring it in to match fabrics or have our staff find the perfect piece from our outstanding fabric selection. 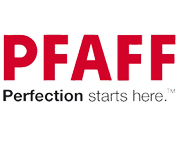 Our knowledgeable staff can help you with finding products, patterns and all of your other quilting needs. My Sewing Room is a Brother and Bernina Sewing Machine dealer with an in-house certified Service Shop! 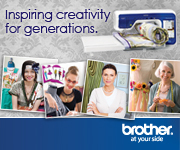 We sell, service and supply parts for both Bernina and Brother sergers, embroidery and sewing machines. My Sewing Room offers long arm quilting services with over 500+ stitch patterns and a large selection of threads and battings to make your quilt one of a kind! Helpful with everything I need. Great selection of fabrics and supplies.